(X-2007-U4) and is owned by the Ayala Corporation. The ruins were constructed on top of the limestone cliff overlooking the Macajalar and Iligan Bays. The structure was made of dressed coral stones bonded with mortar. 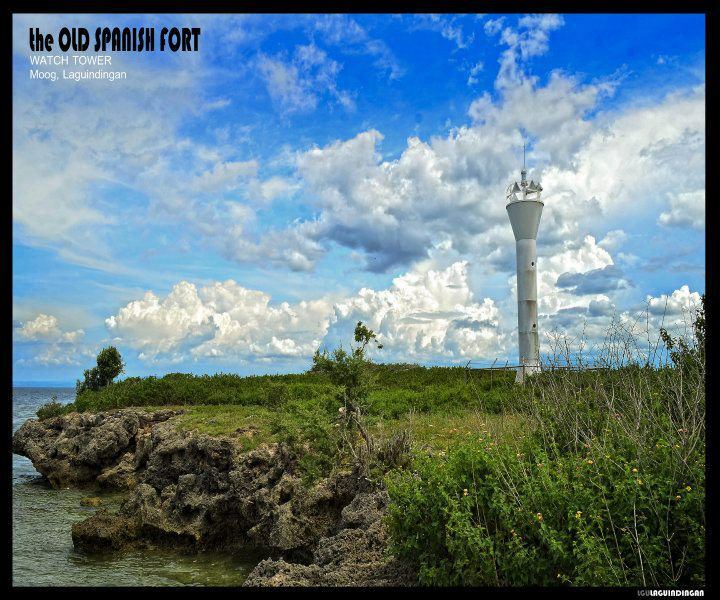 It has a rectangular formation and the remains of the walls have an average thickness of 70 – 80 cms with a maximum height of 2 – 2.5 m. The area has a dimension of 9 m x 5.5 m.
A new ‚parola‛ or lighthouse, which was constructed in 2002, is located on the western side of the ruins. 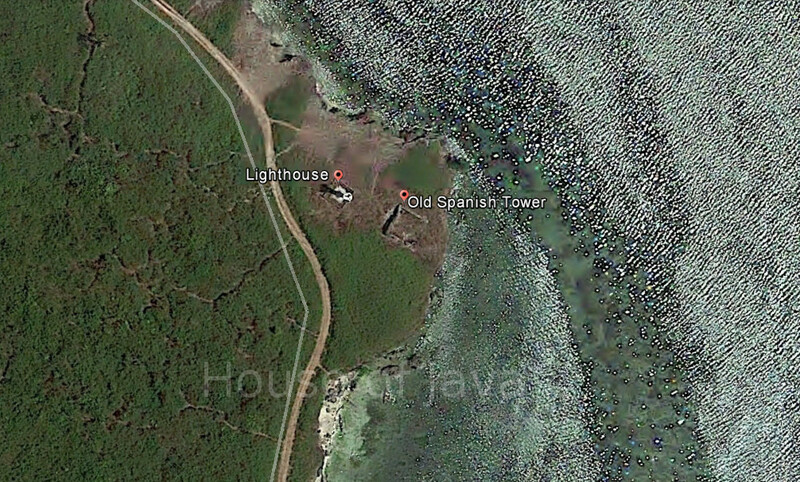 Commonly called “Punta Sulawan” or Sulawan Point. Date unknown. 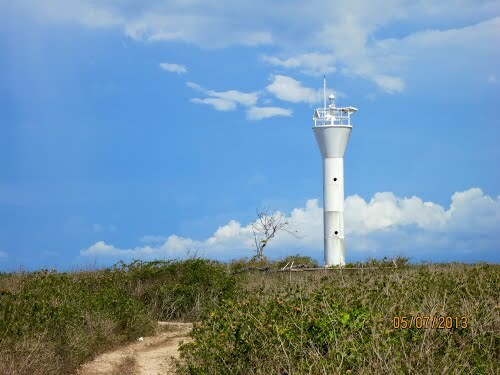 Active; focal plane unknown; white flash every 10 s. 9.5 m (31 ft) round steel and fiberglass tower, flared at the top and bottom. Entire lighthouse is white. 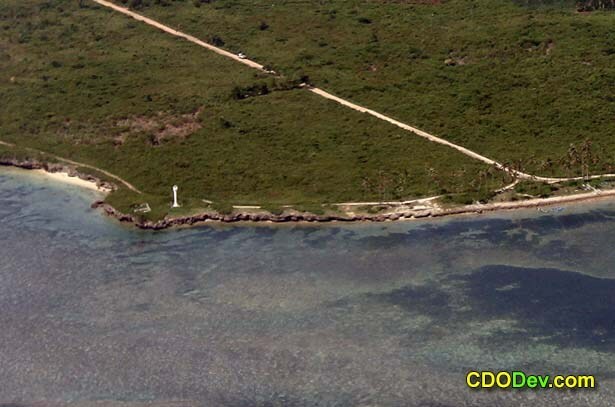 Located on a promontory near the Laguindingan Airport, marking the west side of the entrance to Macajalar Bay. Site open, tower closed. Admiralty F2267; NGA 15094. Today, the “Cuta sa Punta Sulauan” has slowly drawn the interest of local sightseers because of the stunning view of sunrise that could be enjoyed on the site with its surrounding landscape.